More and more people are foregoing a costly subscription to cable television and are, instead, relying on connected devices and inexpensive content subscription services (e.g. Netflix). As the popularity of binge watching your favorite Netflix or Hulu shows grows, so do the numbers of devices available to help you do it. Even if you've decided to “cut the cord,” you may still be wondering which device is right for you. And to complicate matters further, the answer won't be the same for everyone. For some people, they may realize the most savings if they already have one of these devices lurking in their homes. Maybe you have an Xbox gathering dust? Resurrect it so you can play not just video games on it but movies as well. Based on our research, however, Xbox may not be your preferred way to watch your favorite shows in a new way. We went through the devices available to find the one that most likely matches your needs, depending on your priorities. Here are the main criteria we used in determining which device is best for you (using a score of 1 to 5, with 5 being the best). Which device you ultimately choose will be based on what your priorities are. If you’re canceling your cable subscription to save money, then budget may be your biggest concern, and so a set-top-box is best for you. Or perhaps you’re not as worried about the price tag associated with this one-time purchase – you just want it to be easy to use, so you’re leaning toward an Internet-connected TV. Or maybe you want to keep the number of contraptions in your house to a minimum, and so you want a device that pulls double-duty, like a gaming platform. No matter what it is you’re looking for, you had better believe that hardware companies have a product (or two…or ten) to offer you. Luckily, you aren’t the first person to have bought one of these devices, and there is plenty of information to help you make the decision. When it comes to set-top-boxes, Roku offers more channels and streaming options than any of its competitors. This company got off to an early start, and is now one of the biggest players in the set-top-box market. This box is most likely to help those who are a bit apprehensive about cutting the cable cord to make a smooth transition. Its various versions dominate Amazon’s list of best-selling set-top-boxes. And all those other shoppers can’t be wrong. Pros: The Roku Box comes in a variety of models, ranging from $49.99 to $99.99, so there is a model for every budget. Its most direct competitor, Apple TV, has only a $99 model. The variety of options offered by Roku means you can keep it simple or get as fancy as you want. But it remains easy to navigate and most of its models will work with almost any TV - no matter how new or old. Cons: If you’re looking for a device that pulls double-duty, the Roku won’t do it for you. Its only purpose is to help you stream Internet content to your TV. And if you’re a YouTube fan, you’ll have to shell out for the most expensive version of the box. This was a close one! 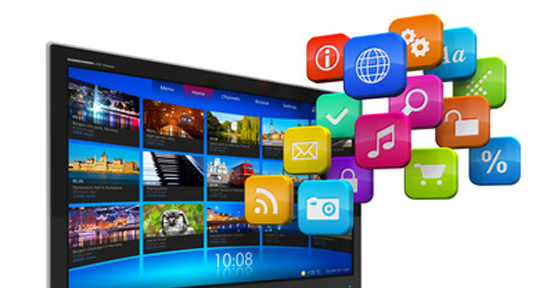 There are a number of multi-purpose devices that can stream web content to your television. Connected Blu-ray players and gaming platforms are all popular choices. But when it comes to streaming Netflix, Wii takes the cake. In fact, 25% of Netflix users stream to the Wii - twice the number that stream to PS3 or Xbox 360. In general, though, when it comes to streaming content to your gaming console, it can be a bit more complicated than using a dedicated device. Pros: The Wii is considerably less expensive than some of its competitors. At $129, it is almost $70 cheaper than the Xbox 360. The Wii (and PS3) has apps for Netflix and Hulu - but if you went for the Xbox, you might have to shell out extra for an Xbox LIVE Gold account to access the same entertainment apps that are free on other devices. Cons: Using a game controller as a remote can feel more than a little odd. And, truth be told, when it comes to choosing a game console, the games it offers are probably going to be the most important factor in your decision. The Wii’s focus on family-friendly games may not make it right for your gaming needs. The Internet-connected TV market offers the most options for buyers. This is going to be your most expensive option for streaming media, but if you’re already in the market for a new television, it may just make sense. And when it comes to Smart TVs, LG’s platform gets high marks. Many sources agree that LG provides one of the best smart TV platforms around with hundreds of apps available for download. It also allows for full web browsing. Pros: At $799, the 42-inch LG42LS5700 isn’t exactly cheap, but its all-in-one package may mean you’re willing to shell out a little extra. You won’t need a Roku box or a gaming console with this television, and its web platform goes above and beyond by bringing games to your TV and allowing a camera to be attached for Skype calls. Cons: The main issue with this connected TV will be its price tag. It isn’t over-priced, but it is more expensive than the other options for bringing streaming media to your living room. Even if you aren’t ready to completely cut that cable cord, streaming content is becoming more and more popular - especially as exclusive shows appear on these subscription networks. You may not be ready to take the leap, but if you’re like most of America, you’re already watching content online and want to move that content from your laptop screen to the television. The good news is that there are plenty of options to fit your needs and your budget. Share on Facebook "Best Streaming Media Player"